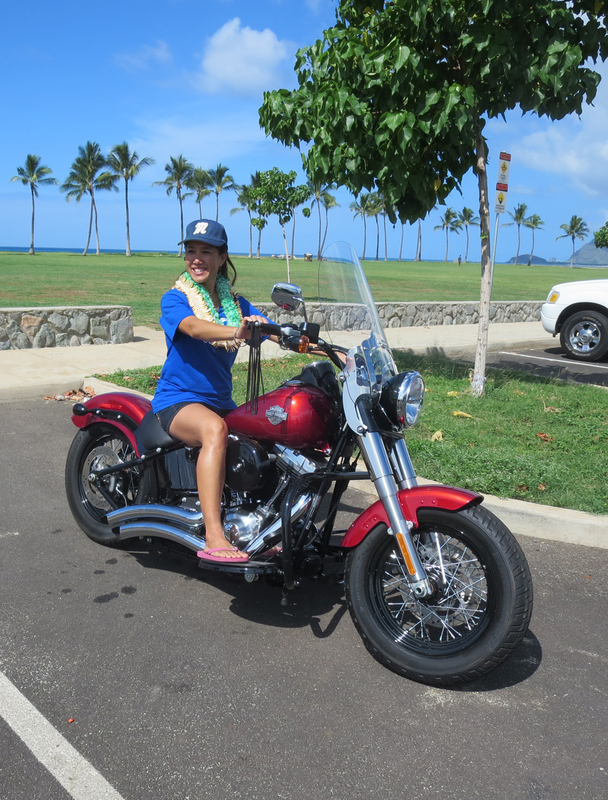 “Mahalo for all your support!” said Senator Maile Shimabukuro. 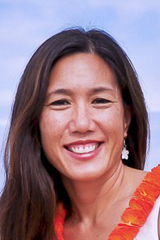 “We wouldn’t have been able to do it without your generous donations, tireless efforts, and kind and encouraging words throughout the campaign. 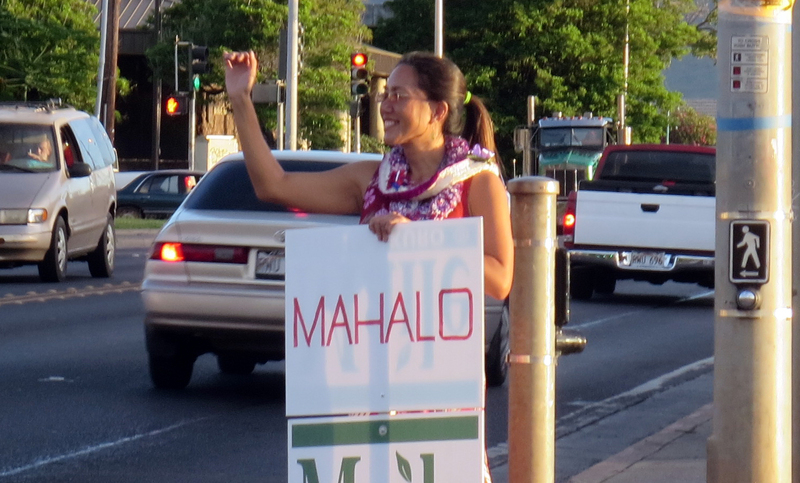 During sign-waving, we really appreciated your smiles, shakas, waves, and toots as you drove by. 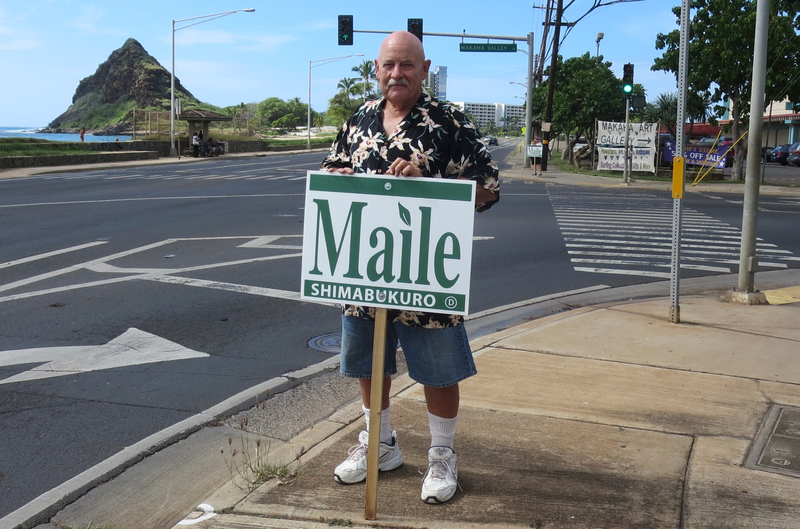 For those who allowed me to post campaign signs on their property, a big mahalo! 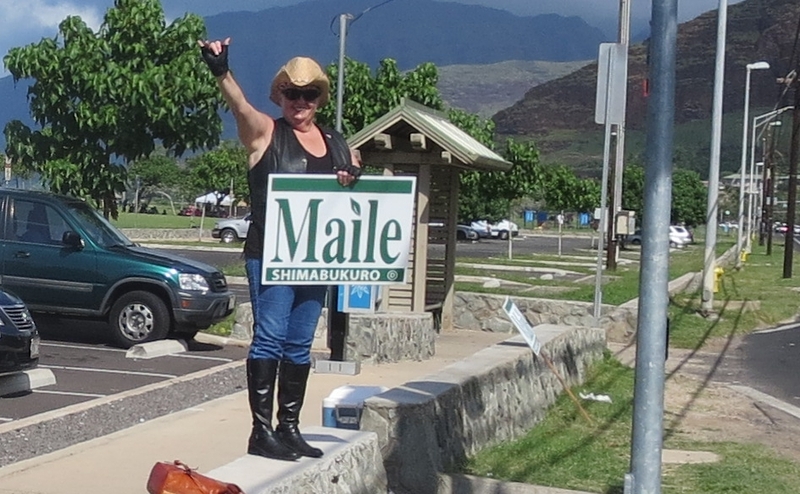 As a community, we have a lot of problems facing us, and I look forward to working with all of you to address them.” Photo of Maile on Farrington Highway and Wai’anae Valley Road on the day after the General Election, 5 Nov. 2014. 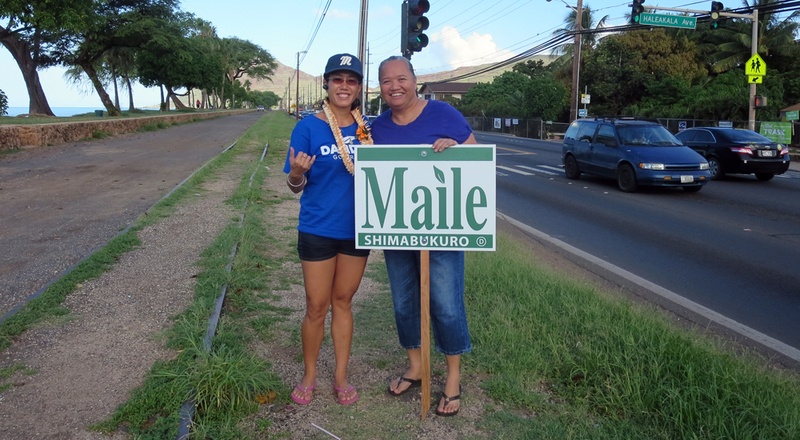 Maile and Mervina Cash-Ka`eo on General Election day, 4 Nov. 2014. 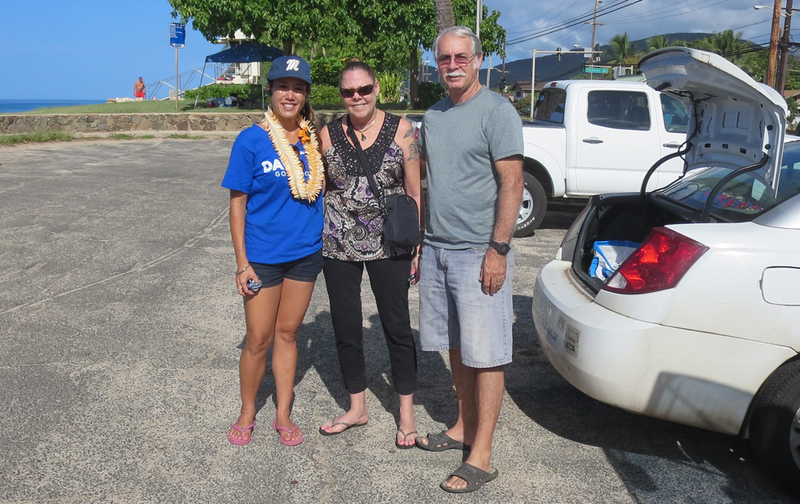 Alan and Fay Sugahara, Doey, and Maile. 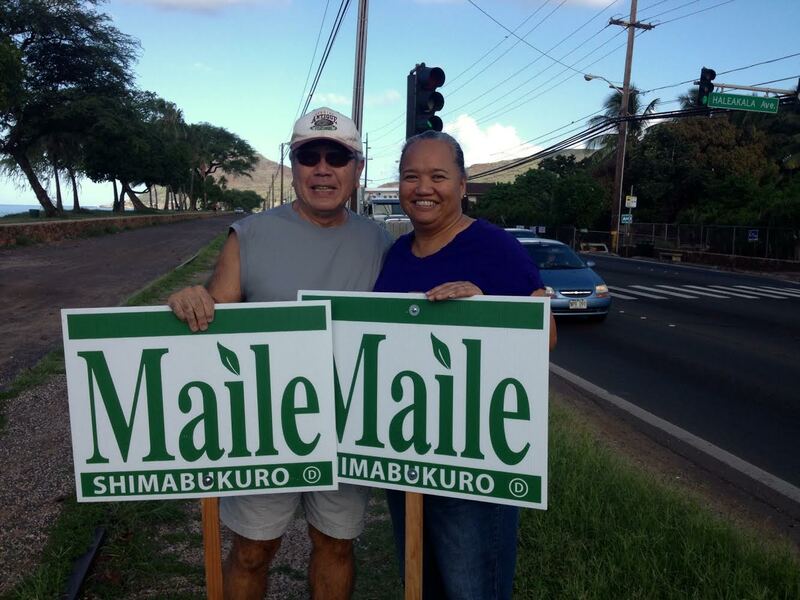 Cathy Outland and her husband, Brooks, have been actively campaigning for Maile for many years. 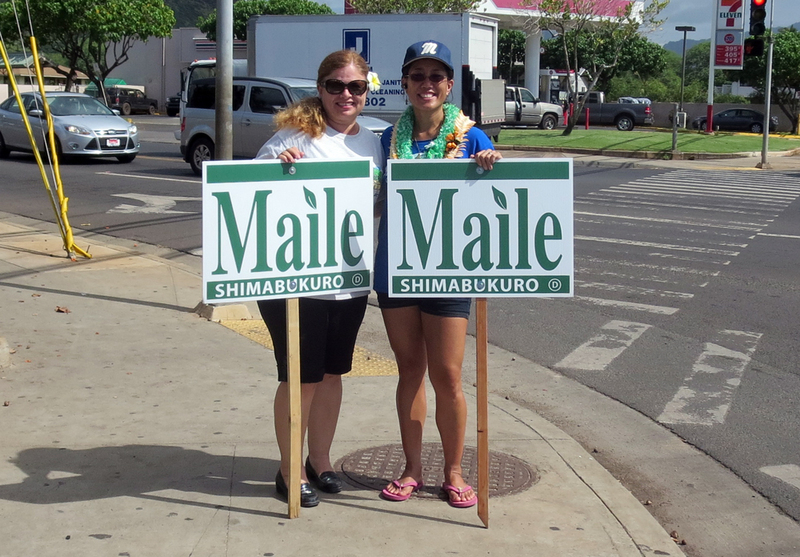 She is Maile’s most dynamic and entertaining sign waver! 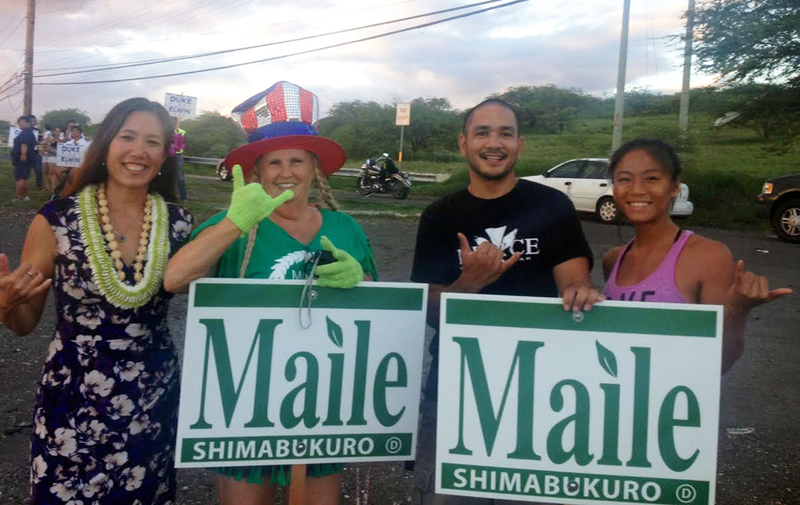 She makes roadside campaigning fun for everyone. 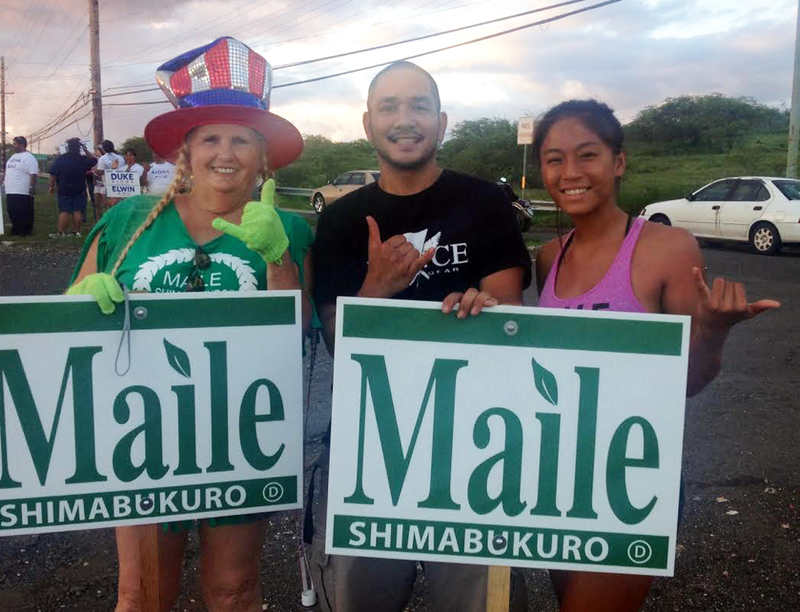 A special mahalo to Gino Rosales (center) and Alexis Mitchell (right) for their continuous support in both the primary and the general. 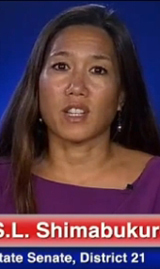 Cathy Outland is on the left. 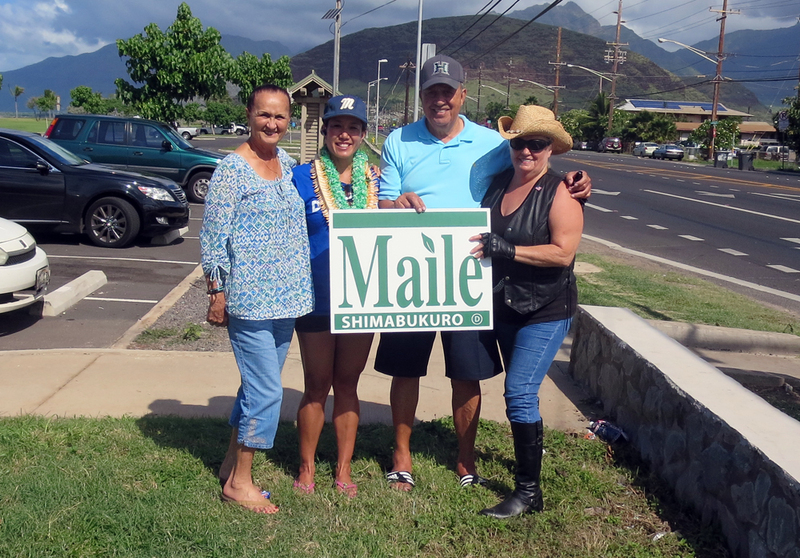 Big mahalo to Charmaine Padeken and Cal Domen for their support through the primary and the general! 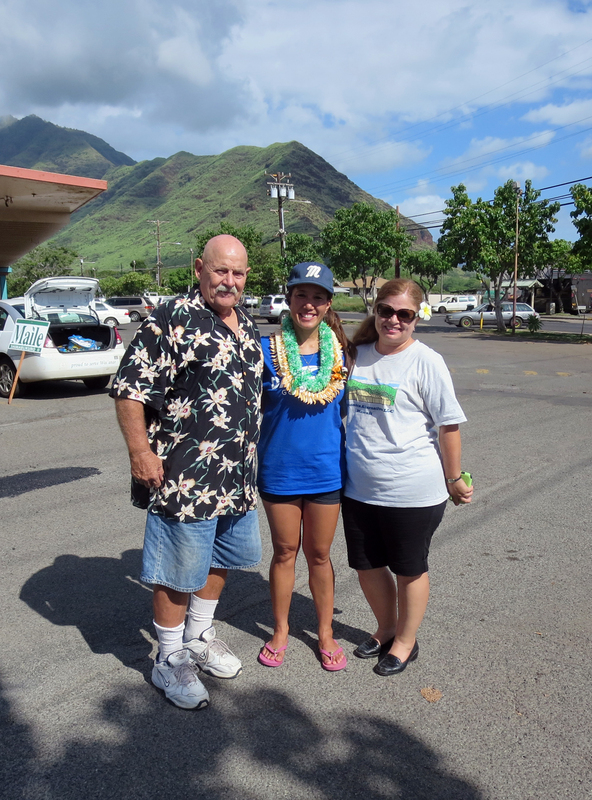 Maile with Estrella and Joseph Cabansag. 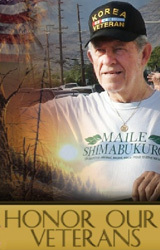 John Monis of the Operating Engineers Local 3 Union. 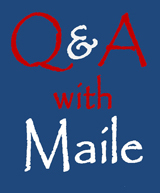 Maile with Mary and David Lovelace. 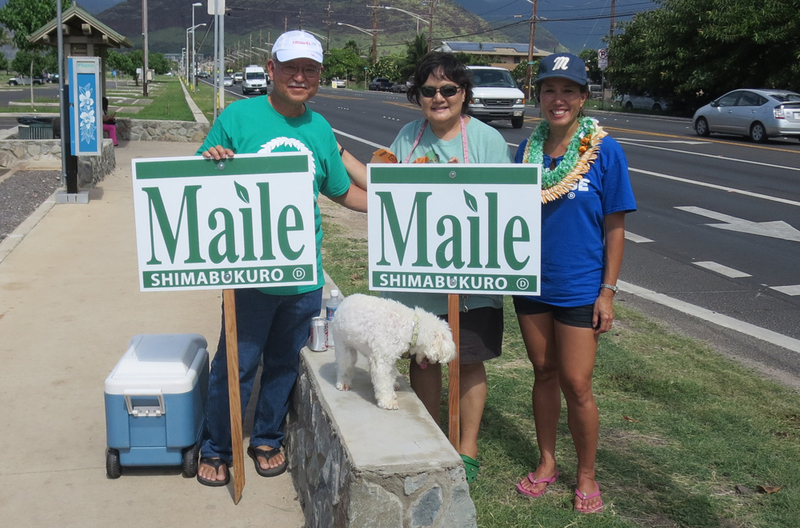 Maile with Henry Peters, Cathy Outland, and supporter. 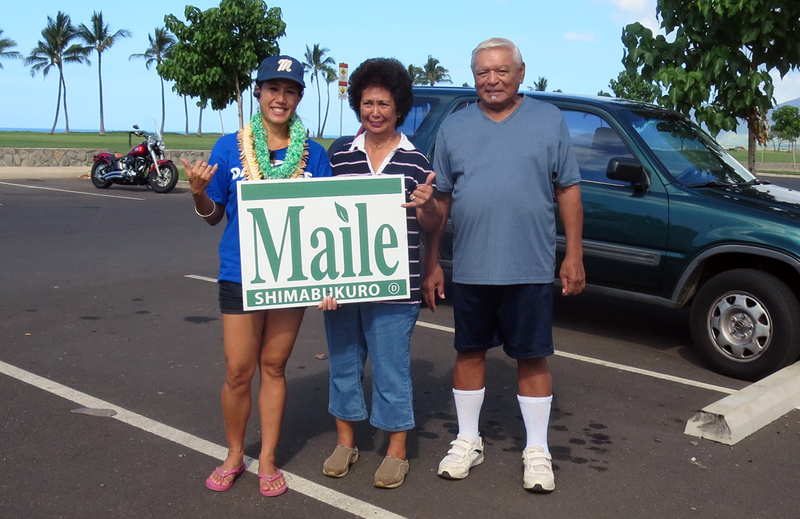 Zeb and Nancy Jones with Maile. 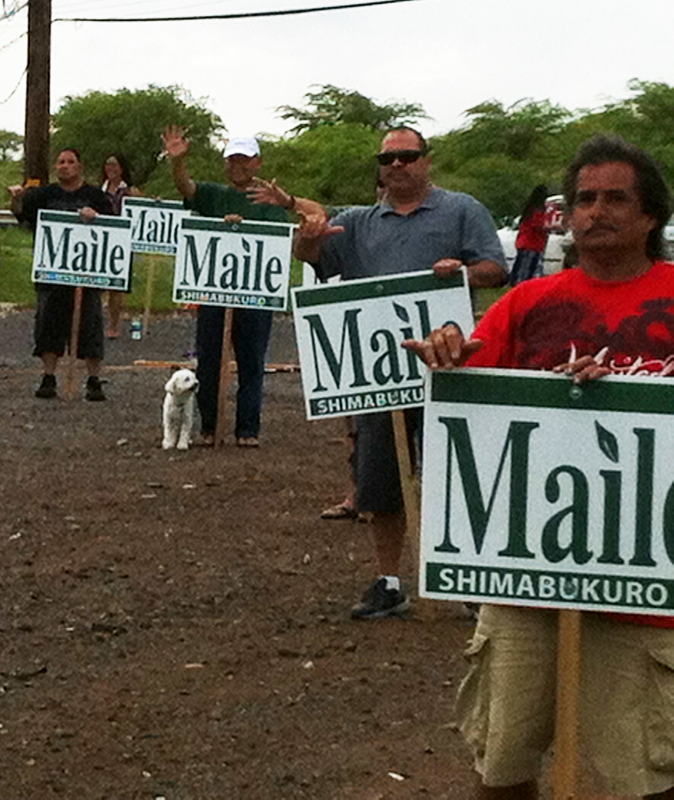 Shane Soares (in gray shirt)and other supporters Nov. 3, 2014. 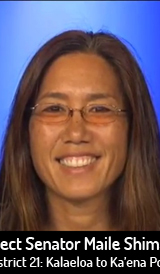 Maile, Cathy Outland, Gino Rosales, and Alexis Mitchell. 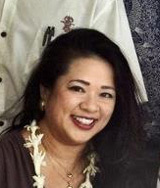 Jimmy Shimabukuro and Mervina Cash-Ka`eo. 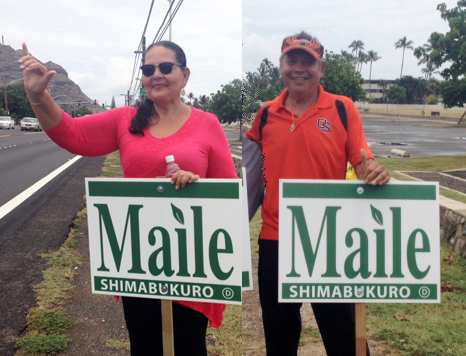 Update 11/8/14: Mahalo to Kapua Keliikoa-Kamai for participating in signwaving and providing refreshments.